Silent Thunder [is] another grab-you-by-the-throat dash that pulled me along on a frantic chase for a deadly-puzzle piece." Hannah Bryson is a marine architect who's been given a fascinating assignment. A Russian nuclear submarine called the Silent Thunder has been purchased by the United States for exhibition in a museum. All Hannah needs to do is run a schematic on the sub to check for hazards before it can be opened to the public. Her brother Connor, acting as her assistant, knows how much this work means to Hannah. But Connor discovers something on the sub…a mysterious message hidden behind one of the panels. And then, in a deadly explosion, Connor is killed. Hannah knows it's no accident, and the chase is on to find her brother's killer. Soon Hannah discovers that she's being used as bait. Because what she doesn't even realize she knows…could end her life as well. 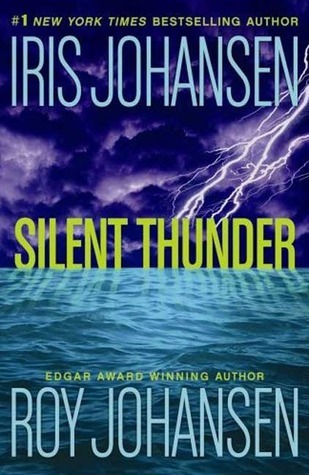 Brisk, exhilarating, and filled with authentic details, SILENT THUNDER is the brainchild of the biggest name in suspense, teamed with the meticulous research of an Edgar-award winning author.